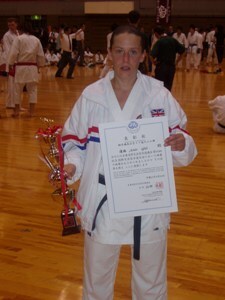 Sensei Adele took part in a tournament to mark the 60th aniversary of Shukokai karate in Amagasaki, Japan on 24,6,09.......and won first place! Well done Adele! The competition was part of the 60th aniversary celebrations and included competitors from around the world.